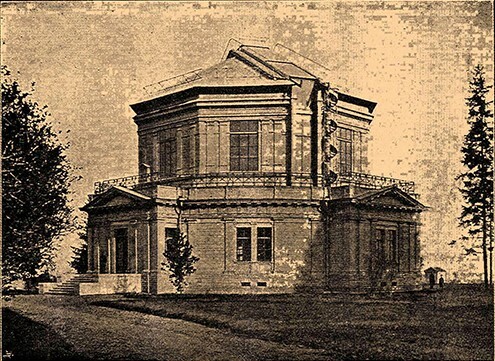 In 1836, the Pulkovo Observatory opened in St. Petersburg, Russia. 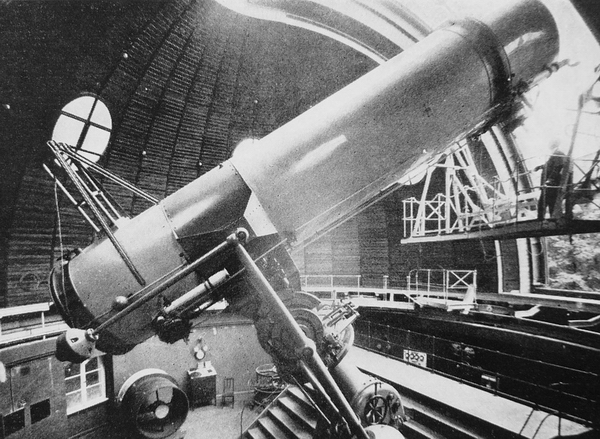 It boasted the world’s largest refracting telescope of the time, with a 15″ lens. 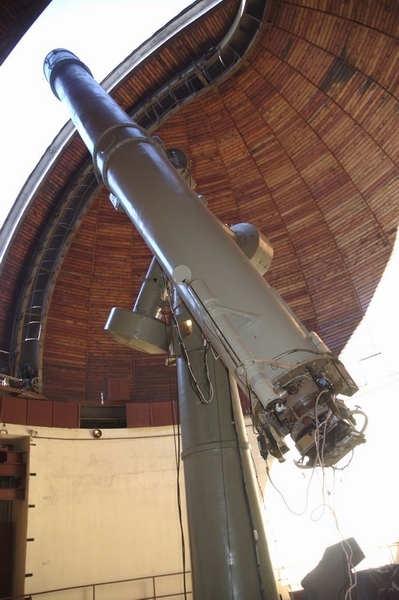 For the 50th anniversary, a 30″ telescope was commissioned. 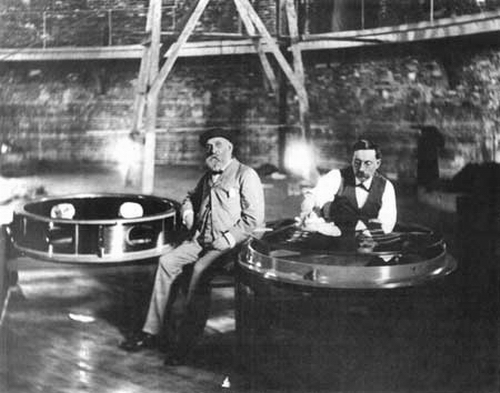 Again it would be the largest telescope lens in the world, produced by the American brothers Alvan and George Clark. Five years in the making, it was so precisely shaped, the final stage of polishing was done by rubbing their thumbs against the glass. 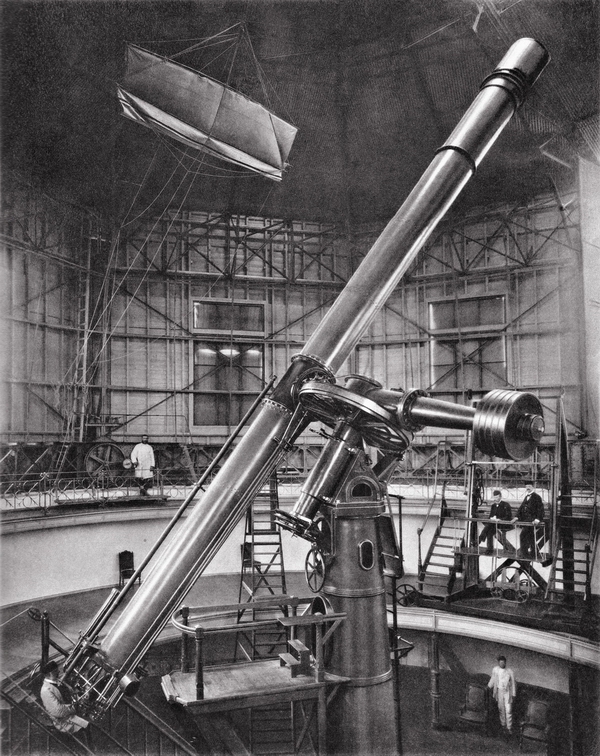 By 1900, the Pulkovo telescope has been used for highly sophisticated science. 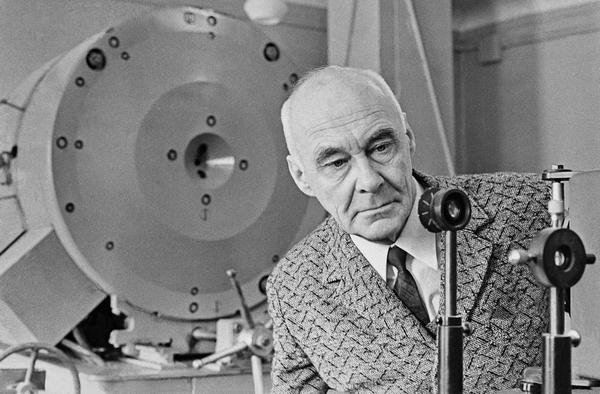 Belopolsky does spectroscopic measurements of the planets, using the delicate technique of optical Doppler shift to separate the effects of the Earth’s atmosphere. In 1912, a wealthy nobleman donated his private observatory in the Crimea to Pulkovo, giving them a southern station with better seeing conditions. 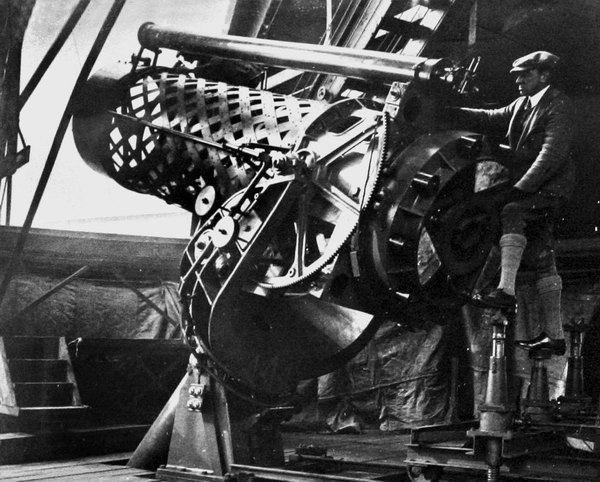 A massive 40-inch reflecting telescope had been commissioned from Howard Grubb in Ireland, but in the confusion following the Soviet revolution, it was not finally delivered until 1925. At that time, it was the largest telescope in Europe. In 1936, the Pulkovo Observatory was ravaged by Stalin’s political purges. Following the denunciation of a professor by a disgruntled graduate student, a chain reaction began of arrests and false accusations obtained under torture. 27 of the 29 astronomers were arrested, of whom only one would ultimately survive, the astrophysicist Nikolai Kozyrev. Germany targeted Soviet observatories during World War II, destroying some of Europe’s finest astronomical instruments. 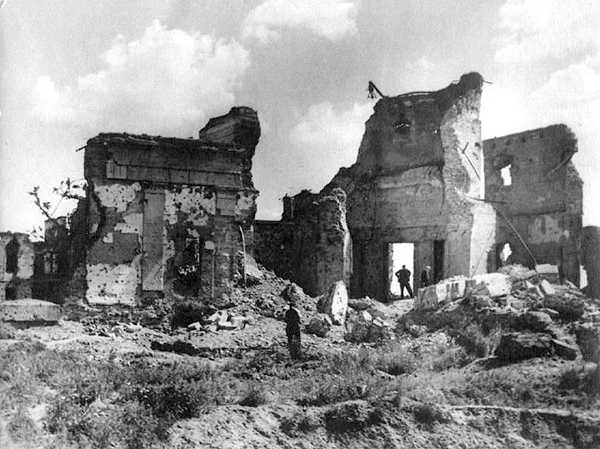 In the siege of Leningrad (1941-1944), the observatory was targeted by air raids and artillery, and completely leveled. In the Crimea, German forces occupied the territory of the southern observatory. When they finally retreated, Soviet astronomers found the observatory burned and the telescopes missing. After the defeat of Germany, Kozyrev was released from prison to help with the restoration of damaged observatories. The Soviet Union exacted massive reparations, part of which were replacement telescopes. 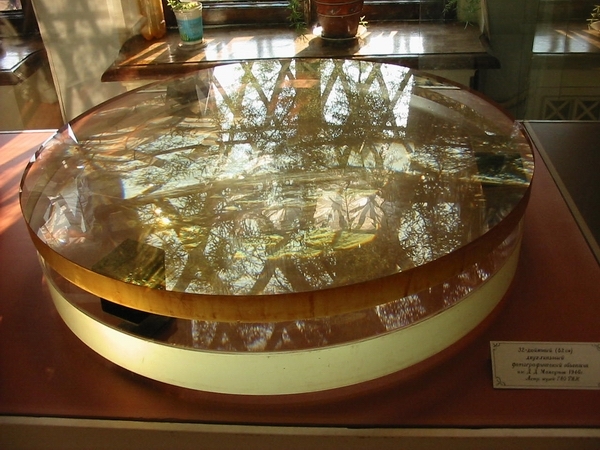 The 40-inch Grubb reflector from the Crimea was found at the Potsdam observatory in Germany, but it had been damaged beyond repair. In its place, the 122 cm Zeiss reflector at Babelsburg was taken. It stands to this day in Simeiz, where Vasily Moroz famously used it to obtain infrared spectra of Mars and Venus in the late 1950s. In Leningrad, a few brave men had been able to save its library, containing books and manuscripts dating back to the 15th century. They also removed the 30-inch lens from the great telescope and stored is deep underground. But it was determined that the great refracting telescope could not be recreated. In 1954, a 26-inch Zeiss refractor from Germany was moved to Pulkovo. Originally, the telescope had been commissioned during the war as a gift to avid amateur astronomer, Benito Mussolini! Born in Belgium, Karel Jan Bossart moved to America and worked with brilliant and colorful aircraft designers in the 1930s. After the Second World War, he developed the first American intercontinental ballistic missile, employing radical innovations in design. Initially skeptical, the US Air Force embraced his plan after they realized that the Soviet Union was close to completing a similar weapon system. The lower image is a new version I just made, doing an improved Doppler analysis of the radar telemetry. Here’s a comparison of the original Soviet processing of the first Venera-15 radar swath (above) and my own processing of the data, from radio hologram to image. One thing I have not done is compensate for the antenna pattern, so my image goes more dark at the edges. This data was acquired by the spacecraft on October 16, 1983, during a pass over the north pole of Venus. I’ve been tinkering with some of the raw telemetry data from Venera-15, an radar imaging satellite that the Soviet Union put into orbit around Venus in 1983. Here are some examples of the stages of processing. 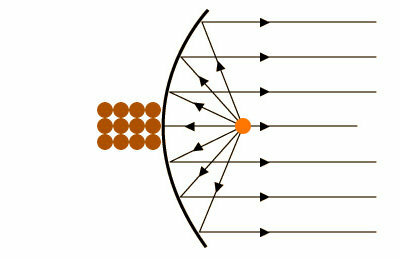 The radar system records 2540 complex (in-phase, quadrature) samples of a reflected radio signal. It just looks like random noise if you visualize it. Correlation of that signal with the pseudo-random code sequence converts the continuous signal into a series of pulses, and that reveals the beginnings of an image. The curved stripes are due to phase shifting as the spacecraft moves away from the surface in its orbit.So, the next step is to correct for that, and that gives us a very noise image of a strip of the Venusian surface. There’s a lot of speckle noise, because the radar beam is coherent illumination, like laser light. The 2540 samples are 20 looks at the surface, and we can do image stacking to get a better image (the fourth image). However, if we apply Fourier transform, we can separate the signal into 20 Doppler frequency shifts, which represent narrow strips of azimuth. These can be shifted into alignment and stacked, to produce a higher resolution image as seen on the right. A practical concept for interstellar propulsion, based on existing technology and science. Fission power from a traveling-wave reactor generates the electricity, the waste material is ionized and accelerated to relativistic speed. This should be more efficient than the Flashlight Drive concept outlined in an earlier post. How hard would it be to send a probe to a nearby star? I have yet to find a discussion of this problem that does not succumb to science fiction, antimatter, planet-sized lasers, etc. So let’s try to tackle this practically, assuming we just have nuclear fission as a power source. Let’s assume we take 100 kg of Uranium 235 and place it in a 2-meter spherical reactor. Let it achieve a temperature of 3100 kelvin (just below the melting point of UO2), and place this incandescent reactor at the focus of a light-weight parabolic reflector. This scheme converts mass into photons, so the Exhaust velocity is the speed of light. From the Stefan-Boltzmann law, we find the reactor core would radiate 70 megawatts for four years, giving a thrust of 0.23 Newtons (about 1/20 pounds). The change is mass is 0.1 percent — the amount of mass turned into energy by nuclear fission. From the rocket equation, the final spacecraft velocity would be about 0.1 percent of the speed of light. At that speed, it would take about 5000 years to reach a nearby star. Not very good. We can do a little better by carrying multiple reactor cores. 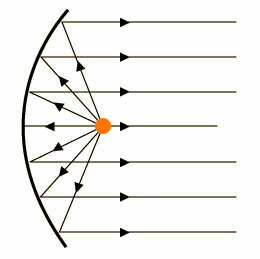 Every four years, the spent core is ejected and a new one placed at the focus and activated. This is better, because we are losing the spent fission products instead of carrying them as payload. With this scheme, we can approach 0.7 percent light speed and reduce our trip time to about 700 years. Still, not really practical, and we’ve been calculating an upper bound, assuming the mass of the spacecraft’s structure is zero, just pure uranium fuel. The final mass is just the uranium, minus the mass defect coverted to energy by fission. If we plug M=0, we get the same result as our Fission-Flashlight drive. As we add mass, we get more final velocity from the log (M1/M2) term of the rocket equation, but we also reduce the exhaust velocity. There is an optimal amount of propellent in this case. With 100 Kg of Uranium and 390 Kg of propellant, we achive a final spacecraft velocity of 3.6 percent light speed. That’s fast enough to reach the nearest star in only 140 years. Still a bit long. Let’s try a two-stage rocket. The first stage has 1000 Kg of uranium and 5800 Kg of propellant. It carries the second stage, which is the one described above. This combination can achieve a final spacecraft speed of 6.5 percent light speed. Now we’ve reduced our mission time for a flyby to 77 years, short enough that one generation could build it, and a next generation of scientists could receive the results it reports back. I’ll tinker a bit more and derive an optimal stage-size ratio. I’m sure a three stage spacecraft could reach something like 10 percent lightspeed.